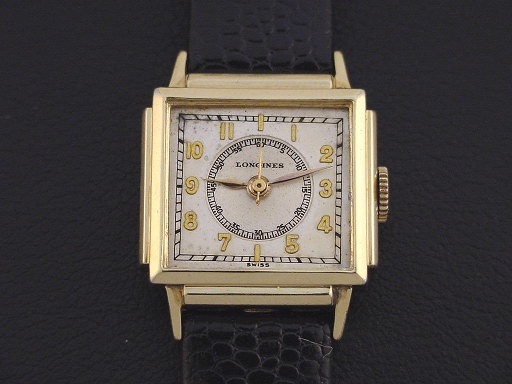 Longines “Official” men’s Art Deco design doctor's wristwatch in 10K yellow gold fill, circa 1939. The "Official" has a center sweep seconds and was advertised as ideal for doctors, pilots, and sportsmen. 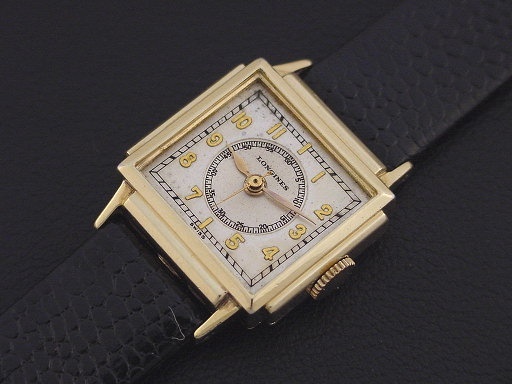 It is in excellent condition showing only a few specks of brassing to the highpoints of the bezel. 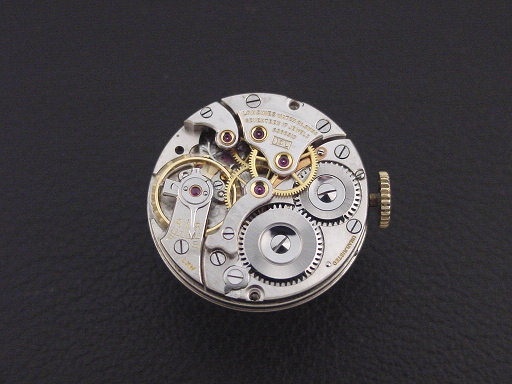 Caseback is excellent and unengraved, with a few tiny specks of wear in the corners. 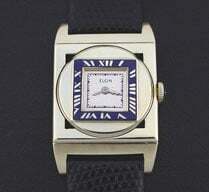 Case measures 32mm long and 26mm wide. 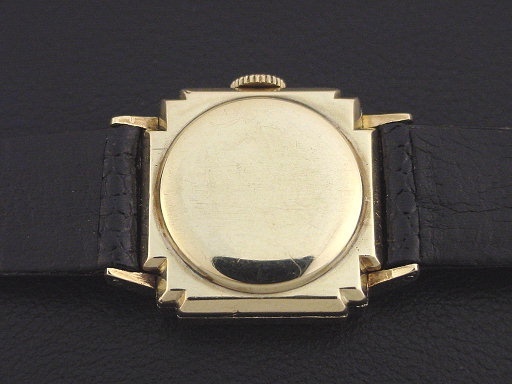 Original two-tone dial is excellent. Has new glass crystal. 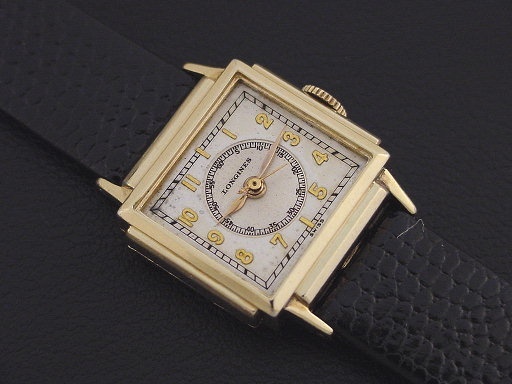 Watch is powered by its correct 17-jewel Longines grade 10L manual wind movement, just serviced and running strong.